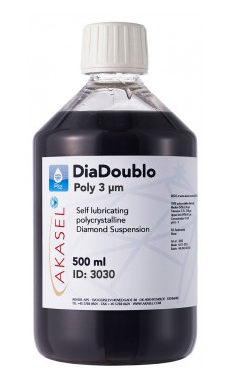 DiaDoublo is a ready mix of lubricant and suspension, it is permanently stable and thus ensures reproducible results. 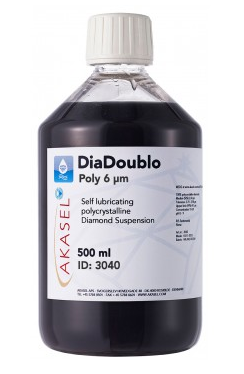 Based on our lubricants and diamond suspensions we have formulated a combination product that makes dosing and lubrication as easy as can be. 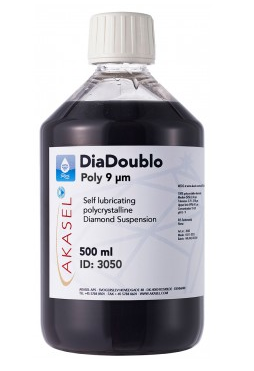 DiaDoublo is perfect for all standard applications. 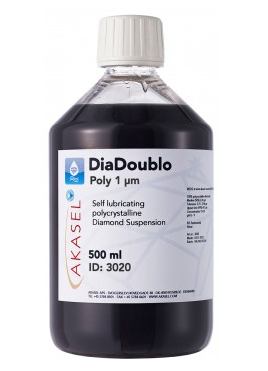 DiaDoublo is available with polycrystalline diamonds as DiaDoublo Poly and with monocrystalline diamonds as DiaDoublo Mono. 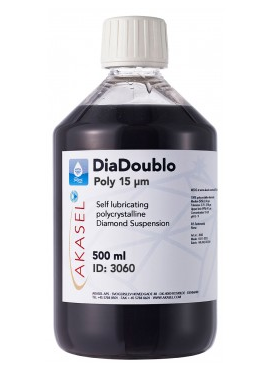 Contrary to competing two-in-one diamond suspensions, both DiaMaxx and DiaDoublo are perfectly compatible with any polishing cloth or fine-grinding disc, thus you can work with the usual micron sizes. Consisting of many small individual crystals, polycrystalline diamonds break down during preparation revealing continuously new cutting edges. They remain sharp when breaking down and are therefore suited for the preparation of hard materials and where high removal rates are required.